Then it happened. I decided to ask the Mikulaks if they would be interested in me photographing Max weekly. I really didn't know how to ask...but I just did. Straight and to the point. I can't imagine what they go through and I didn't want the world to just see the pretty portraits of Max and neuroblastoma. Let's show the world the real deal--well as much as I can with three kids, a husband who's gone all the time and a photography business. So I asked Andy and Melis if they would be interested in me coming one morning a week (when the little ones are at preschool) and shooting whatever is going on that morning. They not only agreed, they were excited about the journey. What do I hope to do in photographing Max weekly? I hope to bring more attention to neuroblastoma. I hope to show everything--the good, the bad, the ugly. I hope to bring some photographs to what the Mikulaks write on Max's blog. I hope to gain awareness and funding for neuroblastoma and pediatric cancer research. I hope capture the essence of who Max is, his strength and what he is going through. I hope to give the Mikulak family some photographs that they can forever cherish. I am shooting Max weekly. Whatever is happening. Nothing is planned. I have no idea where this journey will take us...no one knows. 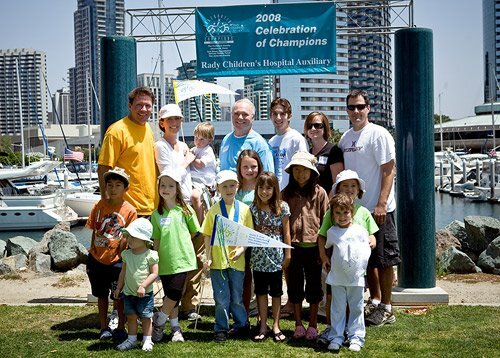 On May 10th, Max participated in San Diego's Celebration for Champions. I knew this was an important day to capture. And luckily, I had a client reschedule and happened to be available. 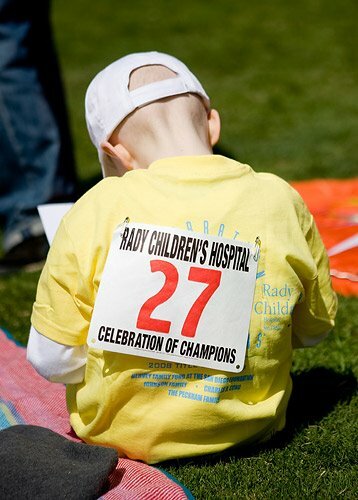 Max was number 27 and sponsored by Rady Childrne's Hospital. I arrived to the tune of the 'chariots of fire' theme song. I immediately began to cry but knew I had to pull myself together and put on my face of strength. And I did. But then another lady started talking to me, asking me who I was and what I was doing, and I couldn't help but cry as I described Max and his family and what I was doing with them. I asked Max not to run too fast as how would I photograph him if he did. He told me, I'm running fast. And he did! So strong. So proud. So fast. At the completion of the race...Max and his team.